I am very honored to announce that I will be a showcase artist this year at NERFA. I hope to see you there. 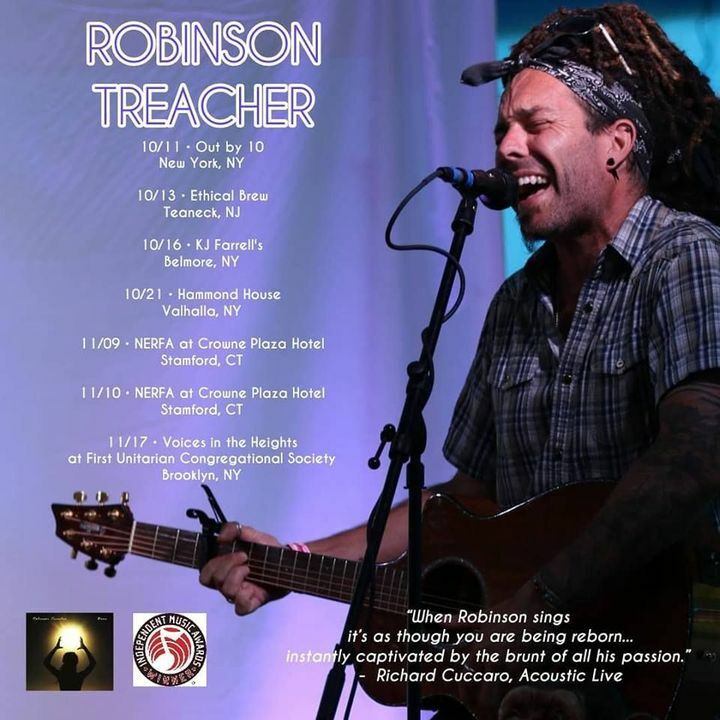 Here are my other upcoming fall dates in support of my new EP release "Born"....get it on iTunes or Amazon Music today! Fab...fab...fabulous...never disappoints...Robinson's sound is so unique...once you hear it, you can't get enough!! That was one of the best shows we have seen at Burlap and Bean. The quality of the original music, the most excellent musicians and three great personalities interacting at their best.....table 10 over and out!